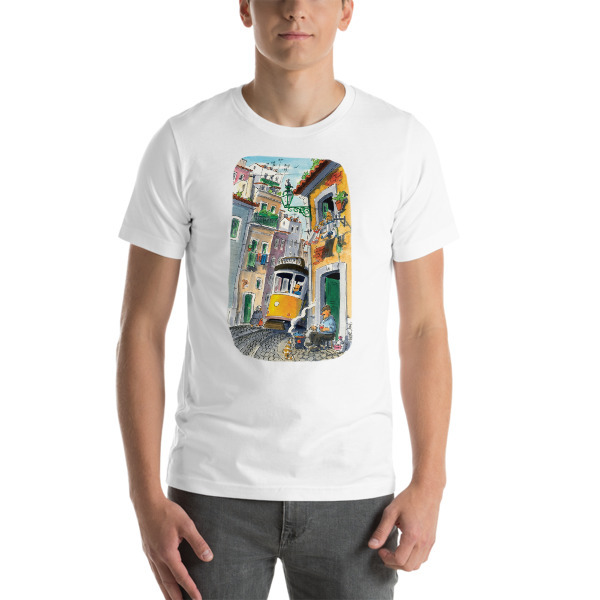 In Portuguese, the original painting is called “Porta 6”, or Door number 6 in English, is an iconic cretion of Hauke Vagt, it was one of many illistrations chosen for the label of the famous wine Porta 6 produced by Vidigal Wines. This is a wine produced in the Lisbon region so nothing better illustrates Lisbon’s way of living than a tipical Alfama alley. 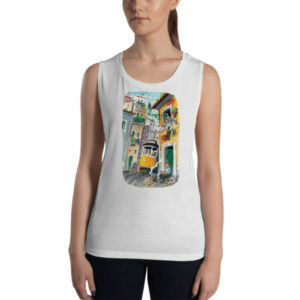 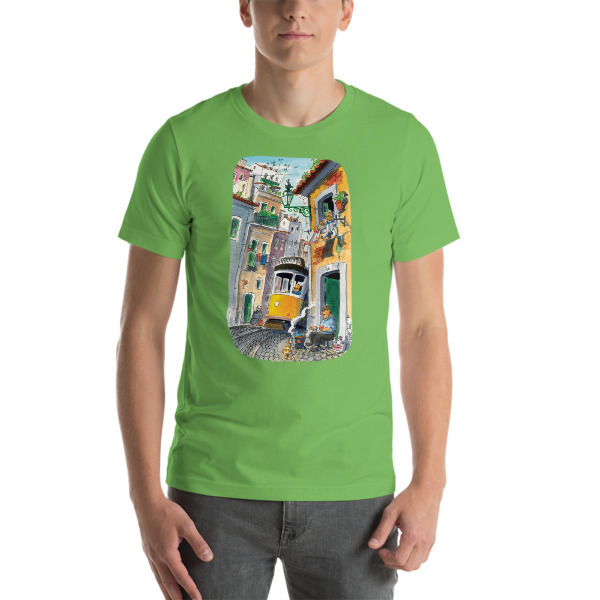 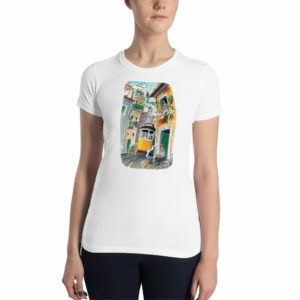 Buy the t-shirt, come to Lisbon and go to Alfama district to try to find where “Porta 6” is physically located. 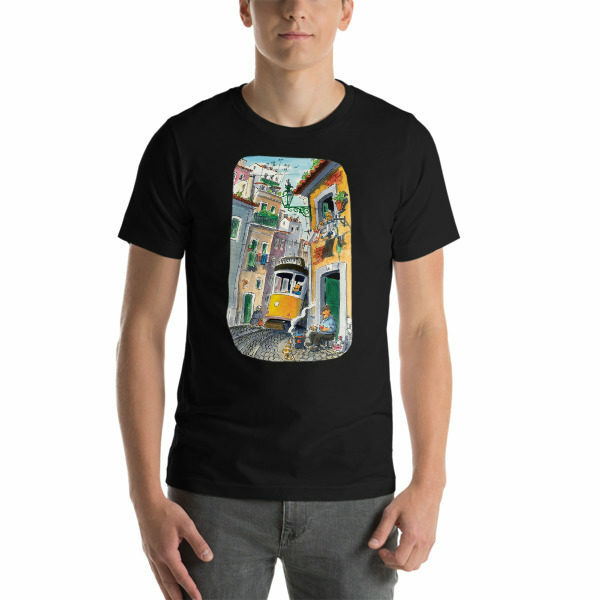 You will get lost and find yourself in the alleyways and alleys of old Lisbon and get to know the typical Lisboetas that give inspiration to Hauke’s creations.